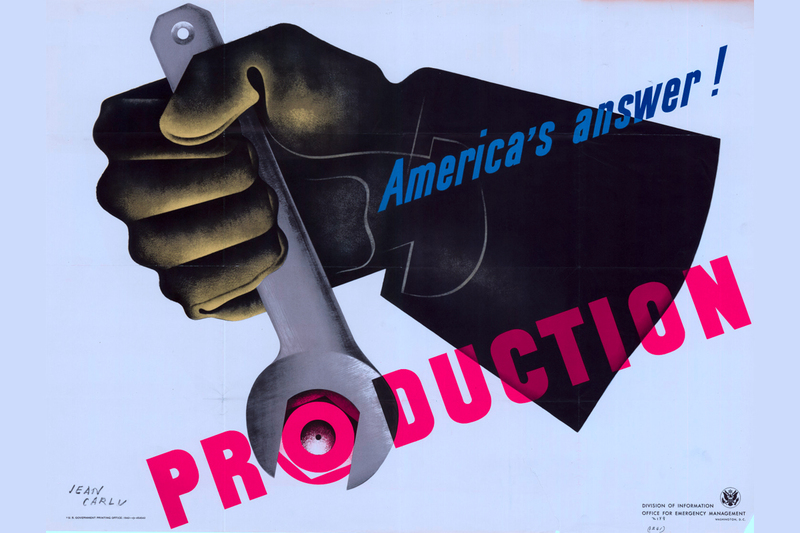 Welcome to the annual Labor Day mix, where we kick back, listen to some tunes about economics and labor, and consider the situation of the American worker. The story is much the same as in past years — Joe and Jane Lunchpail are still mostly gettin’ boned by a system rigged exclusively to benefit multi-millionaires, known in political circles as “the donor class” — but there are some signs that a cultural shift may be going on. Vermont senator Bernie Sanders, whose dark-horse campaign for the Democratic presidential nomination has centered on themes of economic inequality, has proved surprisingly strong in the polls, and his early successes (in tandem, no doubt, with the increasing national prominence of Massachusetts senator Elizabeth Warren, who has become one of Capitol Hill’s most outspoken voices of economic populism) have pushed working-class issues to the forefront of the conversation. Meanwhile, Hillary Clinton, the early favorite for the nomination, had been widely seen as uncomfortably close to Wall Street; but she has pivoted toward advocating policies that would benefit working families, particularly in increasing access to higher education. On the other side of the aisle, union-bashing remains a perennial favorite sport — especially bashing public unions. Scott Walker has somehow turned his shameful dismantling of Wisconsin’s once-dynamic public university system into a badge of pride. Bobby Jindal has presided over a wholesale reinvention of Louisiana’s public schools over the last decade, exploiting the damage wrought by Hurricane Katrina to allow out-of-state profiteers to swarm into New Orleans and use the education system as their personal playground. Not to be outdone, the ever-classy Chris Christie has gone on record saying he would like to punch the teachers’ unions in their collective face. Of course, not all public unions have covered themselves in glory ; police unions, in particular, have disappointingly chosen to close ranks around their own in a recent string of high-profile brutality cases, displaying a self-justifying siege mentality that reached its low in a childish act of retaliation against New York City mayor Bill de Blasio for the unforgivable sin of telling his teenage son the truth. There’s a lot more to talk about — including the surprising backlash against an overdue common-sense move to raise the minimum wage, and revelations about Wal-Mart’s tireless efforts to turn its workforce into a self-policing cohort of finks — but the development that intrigues me the most is that, even as American union membership continues to decline overall, there’s been a surge of interest from an unlikely place: the online content sector. I think unions have had a positive impact on a lot of places, like if you’re working on an assembly line, and if you’re negotiating with management it can make a huge difference, particularly when labor is more replaceable. And I think I don’t think a union is right for BuzzFeed for two reasons. One, I think the way we pattern BuzzFeed is after companies like Google and Facebook, and the tech startups are very, very competitive for talent. They’re all trying to get the very best talent. That’s how I see BuzzFeed as well. We need to provide amazing benefits, we need to provide as much incentive for people to pick BuzzFeed over any other company. A lot of the best new-economy companies are environments where there’s an alliance between managers and employees. People have shared goals. Benefits and perks and compensation are very competitive, and I feel like that’s the kind of market we’re in. A lot of times when you look at companies that have unionized, the relationship is very different. The relationship is much more adversarial, and you have lawyers negotiating for comp and looking at comparable companies and trying to keep compensation matched with other companies. Peretti’s dead wrong on a number of counts here, but hilariously so in romanticizing the tech sector as an Eden where management and labor are bound by “shared goals” until the serpent of unionization makes things all “adversarial.” The cold fact is that the owner/employer relationship is inescapably, inherently founded on divergent goals. Whether a company is publicly traded company or (like BuzzFeed) funded by venture capital, Ownership’s one and only real goal — quite sensibly — is to maximize returns for its investors, while the individual employee’s goal is to receive fair compensation for his or her work. This doesn’t mean that Ownership is the bad guy here. Far from it; it’s just doing what Ownership does, and it would be derelict in its duties to the stakeholders if it did otherwise. But if Ownership is being honest, it must admit that its goals only converge with Labor’s up to the point that it starts costing too much money. The other assertion underpinning Peretti’s poor-little-rich-boy act — that Ownership is at the mercy of Labor, that there are so many great tech jobs out there that top employers must be free to undercut one another in order to attract the best talent — would surely be news to those millions of Americans who now find themselves overqualified and underemployed. Indeed, it would be news even to those do manage to land a job at a top at a top tech company, only to find themselves appalled at the lengths they must go to in order to keep it. Peretti’s little speech isn’t just hyper-defensive, though; it seems oddly old-fashioned, as well. It’s telling (and a little adorable) that he compares BuzzFeed —which was founded nearly a decade ago, an eternity in Internet time — to a tech startup, and characterizes it as part of a “new economy.” And perhaps he believes it is. But the world has moved on. BuzzFeed, Gawker, Salon et al. can no longer be meaningfully called “new media” — they’re just media, full stop, and the “new economy” in which they operate turns out to have pretty much the same rules as the old one. What’s happening here is simply that the tech sector is maturing. The dynamic of its founding myth — of hard-charging bros and bro-ettes, united by a common goal, staying up all night every night to crush code — is inherently unsustainable. In a way, tech culture is a victim of its own success. It is no longer a haven for misfits who were gonna stay up crushing code anyway; it is now simply another career path, one of many, albeit an extremely lucrative one. Ponder that question, and any others that may cross your mind, as you rock out over this long weekend. Special thanks to my old pal Matthew Perpetua and our friends at Said the Gramophone for turning me on to some of the cool tracks on this year’s mix! Select individual tracks provided for reference; as always, we encourage you to download the full mix (1:26:24).